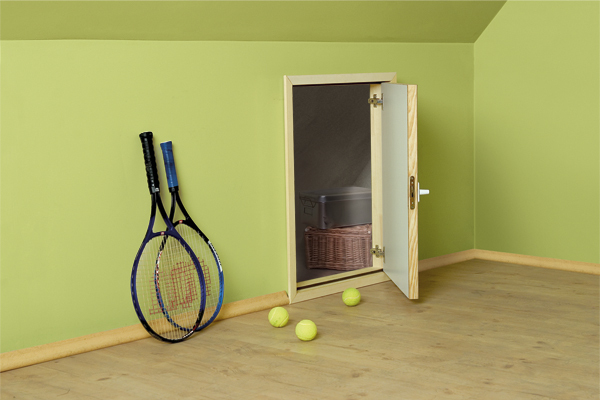 Single chamber 4H – St16Ar – 4T. External pane toughened, steel spacer, inner glass with low emission coating. Space between panes filled with inert gas- argon. Single chamber 4H – Tg16Ar – 4T. 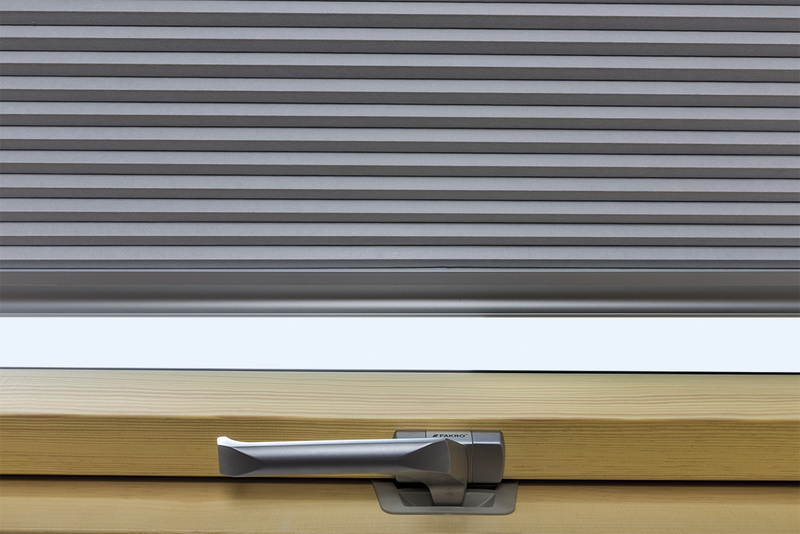 External pane toughened, warm spacer, inner glass with low emission coating. Space between panes filled with inert gas- argon. 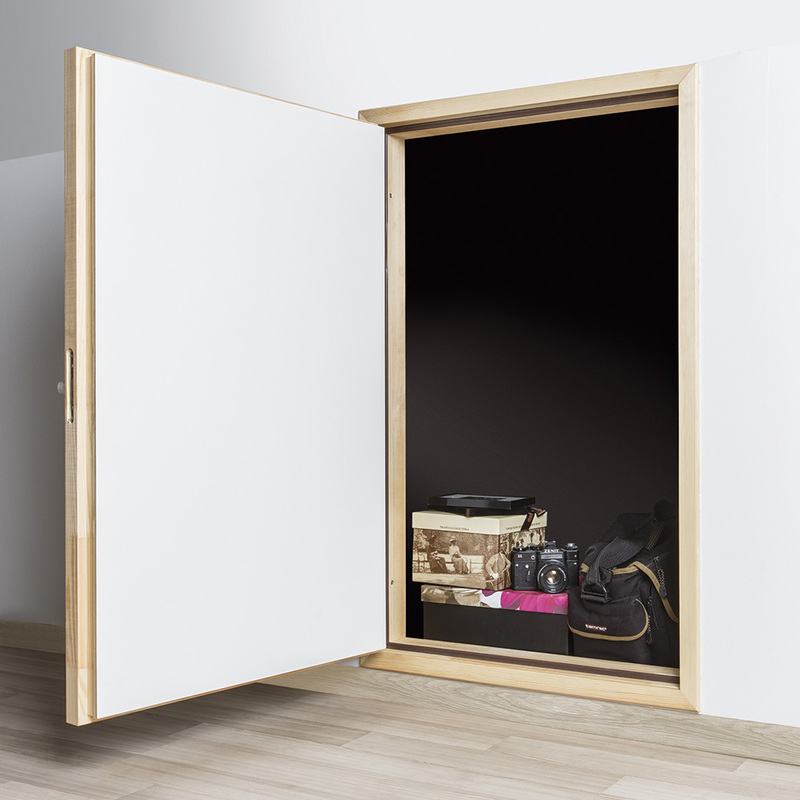 Double chamber glazing 4HT – Tg10Kr – 4H – Tg10Kr – 4HT. are made of low emission glass. 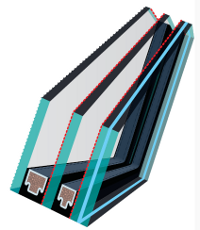 Both 10mm chamber cavities between the panes are filled with inert gas-krypton. 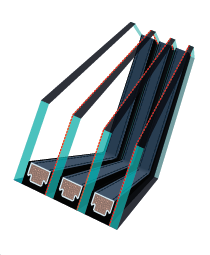 In highly energy efficient glazing, TGI warm spacer made of plastic is used. In aluminium-plastic windows glazing U5 structure 4HT – Tg8Kr – 4H – Tg10Kr – 4HT is used. Double chamber glazing 6HT – Tg18Ar – 4H – Tg18Ar – 33.2T. 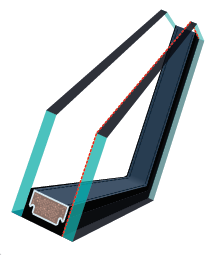 Consists of three panes: external toughened pane, internal toughened with low emission layer and inner ( concists of twopanes with 0.76mm (2x0.38mm) layer of PVB plastic membrane between them) laminated anti-burglary class P2A. The unit has two warm TGI spacers. The chamber cavities are filled with inert gas-argon.. 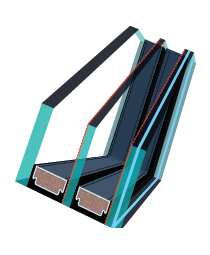 Triple chamber glazing 4H – Tg12Kr – 4HT– Tg12Kr – 4HT – Tg12Kr – 4HT, consists of four toughened panes. It has three low emission layers and warm TGI spacers. inner laminated anti-burglary class P2A. The unit has three warm TGI spacers. The 12mm chamber cavities between the panes are filled with inert gaskrypton. 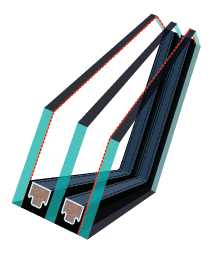 Single chamber glazing 4HS – Tg14Ar – 33.1T. 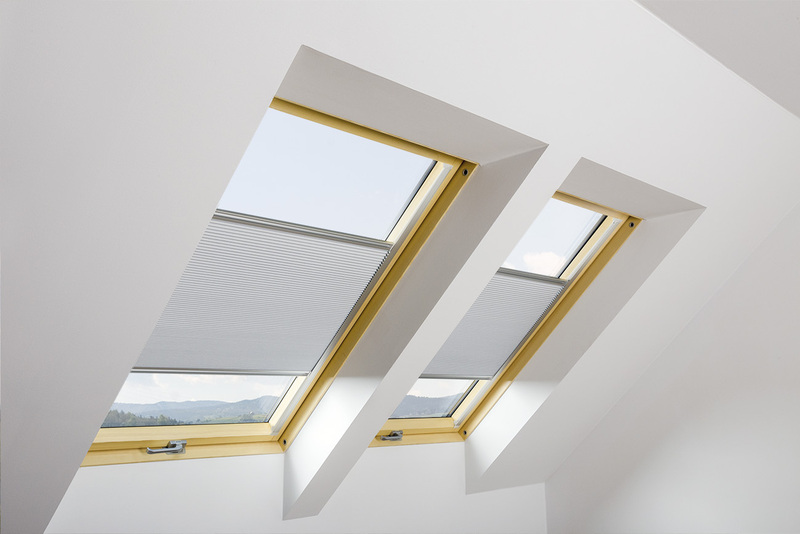 External pane toughened with easy maintenace layer, warm TGI spacer, inner pane consists of two 3mm thick sheets of glass with 0.38mm layer of PVB plastic membrane between them. 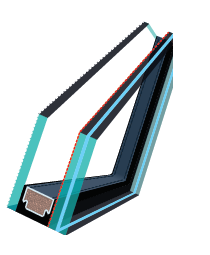 The glazing cavity is filled with inert gas argon. 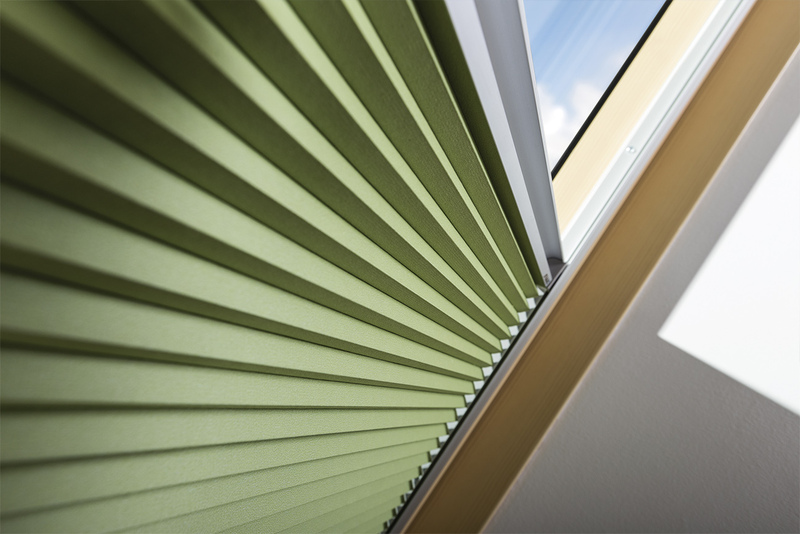 The laminated unit is positioned from the room side of the glazing and is coated with low emision layer. In case of laminated glass damage or shattering, pieces of glass will stick to the membrane. Laminated glass also reduces penetration of UV rays by up to 92%. Internal glass (33.1) has 2(B)2 Class according to EN 12600. 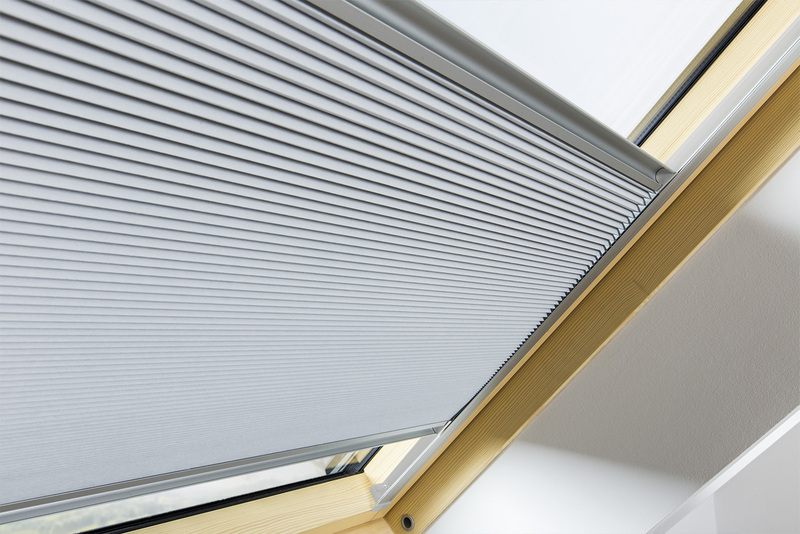 In P2 and L3 glazings, external pane is toughened and coated with easy maintenance layer, which prevents the build-up of dirt and helps to keep the window clean. Firstly it absorbs ultra-violet light from the sun causing a reaction on the surface of the glass which breaks down and loosens dirt. Secondly the glass surface has a coating which, when rain or water flows across the window, causes it to do so evenly across the surface instead of forming water droplets, thereby taking dirt with it. In comparison with ordinary glass the water dries quickly without staining. 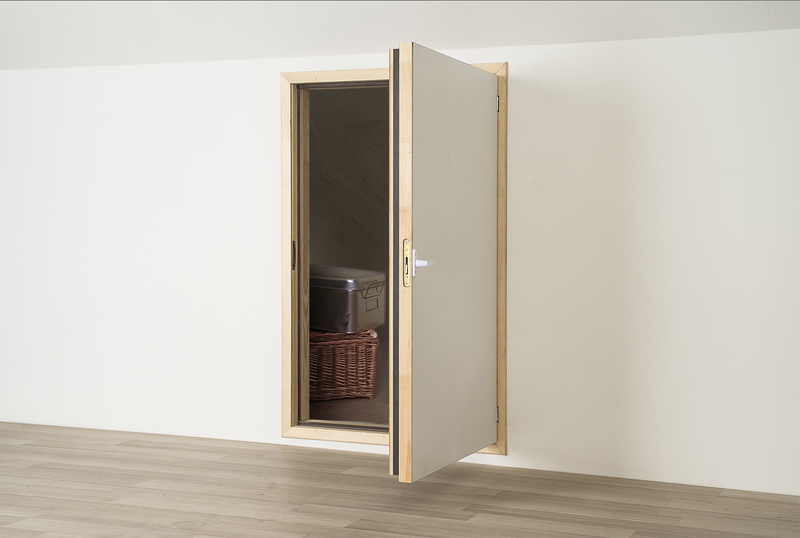 Single chamber glazing 4HS – Tg14Ar – 33.2T, laminated and anti-burglary class P2A according to standard EN 356. Offers increased resistance against breakage. 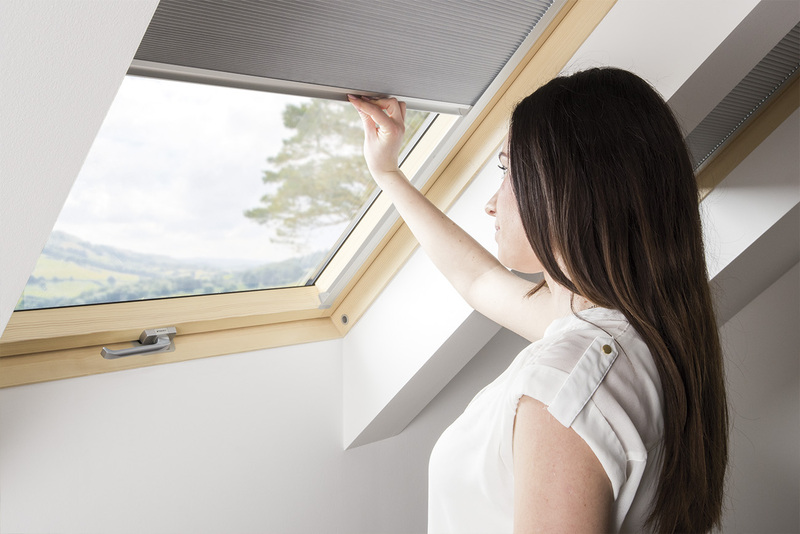 The unit consists of external toughened pane with easy maintenance layer, warm TGI spacer and inner pane which has two 3mm thick sheets of glass with 0.76mm (2x0.38mm) layer of PVB plastic membrane between them. 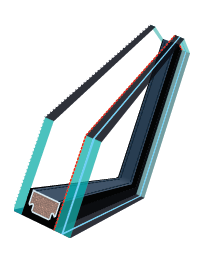 The glazing cavity is filled with inert gas- argon. On the inner side of the laminated glass it has a low emission coating which reduces penetration of UV rays by up to 99%. 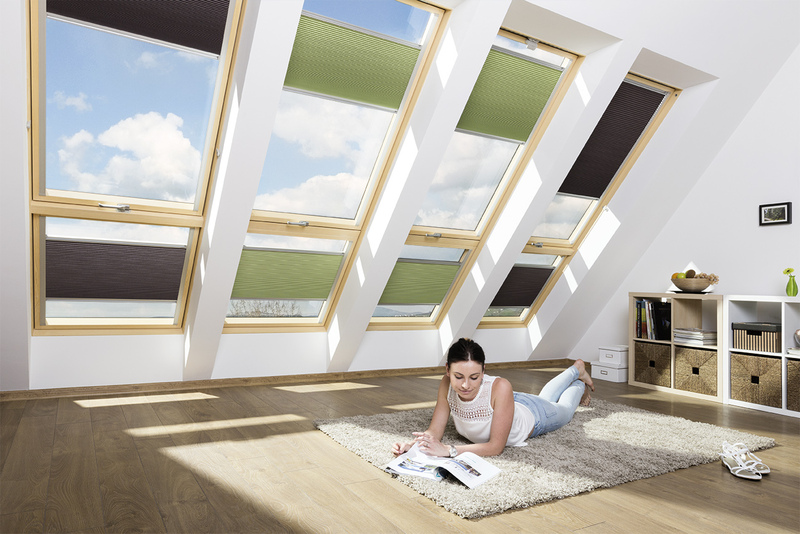 Double chamber glazing 4HS – 10 – 4HT – 8 – 33.2T, laminated and anti-burglary class P2A according to standard EN 356. The glazing cavity is filled with inert gas- krypton.